It's still winter and freezing and I'm a huge candle freak. When I ran into these you couldn't imagine how much excitement I felt! 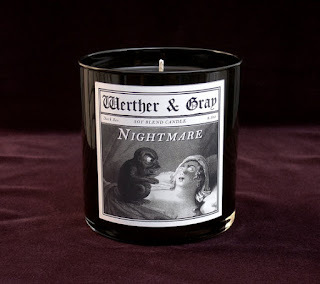 These candles by Werther and Gray are inspired by past culture and art. They are really decorative and offer a variety of scents! Some are a little too peppy for me, but I will list the ones I thoroughly enjoy! 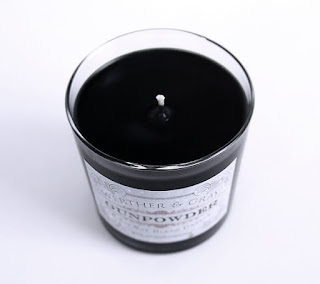 The 8.5oz LONDON 1888 Candle comes from their Dark Series. 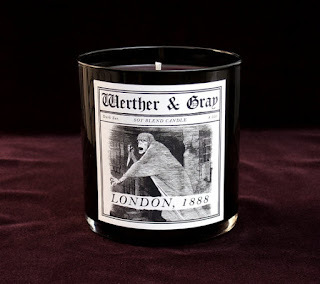 This candle is inspired by the historical time in London when Jack the Ripper was roaming the streets. It does have a scent, but the fragrance is not listed unfortunately! 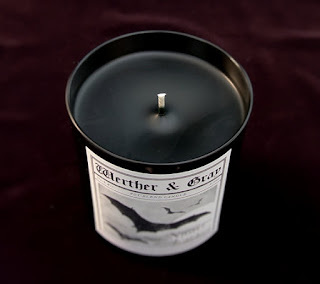 I love how deep and dark the candle itself is, but the art on the front is amazing. I like how they made the label look like a newspaper clipping. It is very clever. This is an incredibly unique candle. 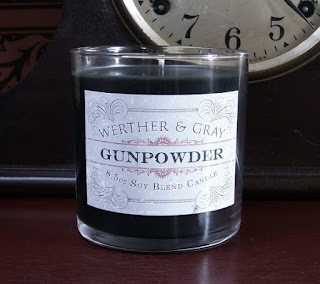 The 8.5 oz GUNPOWDER Candle has the fragrance of history's powder mills and the old time battlefield. This might not be something I personally would have in my house, but someone else might enjoy it. This would be a great gift for someone who really enjoys periods of history like the Civil War or Revolutionary War. 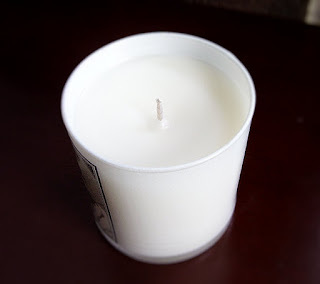 The 8.5 oz MIDNIGHT Candle is made from a soy blend. This has a standard clove scent to remind us of days like these darker days before the sun starts to become more prevalent. There's not much else you need: Clove is a wonderful scent all around. 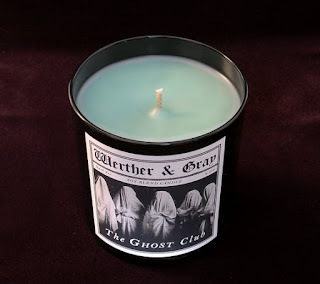 THE GHOST CLUB Candle is 8.5 ounces and is also covered by very cool art. It is named after the real life Victorian association of supernatural seekers that were established in 1862. This historic club had among its members Charles Dickens and Sir Arthur Conan Doyle. Fragrant notes include anise, fruit and firewood, absolutely delicious. 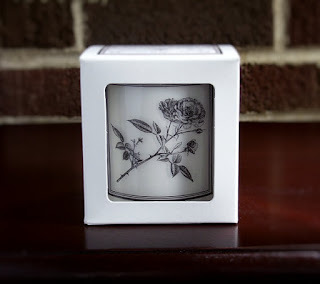 I'm so excited, the 8.5 oz VICTORIAN ROSE Candle with Box has a light powdery vintage rose scent. When this candle is lit it looks like a lantern. The rose design on the glass lights up and is very pretty. Rose is a classic fragrance and continues to be one of my favorites. 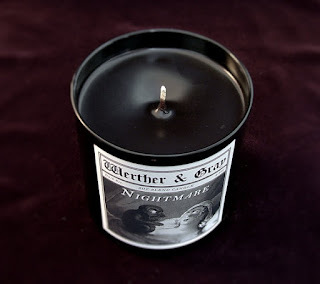 This 8.5 oz NIGHTMARE Candle is the last in the Dark Series. 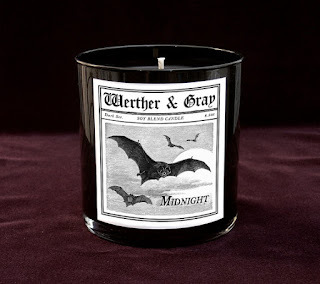 There's no accurate description for the fragrance of this particular candle, but it says the Dark Series represents scents during autumn. 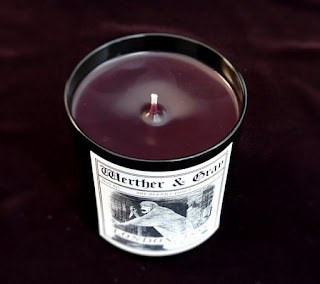 It says it is ethereal and mysterious: this candle will seduce you to the dark side of consciousness. I sure hope so! 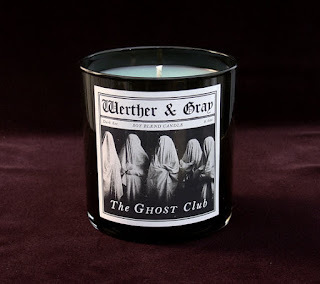 Check out Werther and Gray's other unique candles and tell me about it down below!